The winners of the 2019 Boston Marathon, clockwise from top left: Daniel Romanchuk, Worknesh Degefa, Manuela Schaer, and Lawrence Cherono. 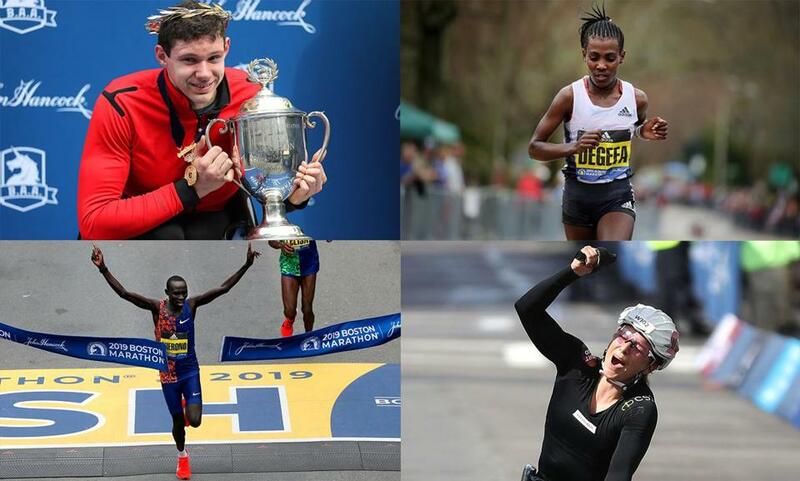 Here are the winners in each category for the 2019 Boston Marathon. ■ The winner of the women’s race is Worknesh Degefa of Ethiopia, with a time of 2:23:31. ■ The winner of the men’s race is Lawrence Cherono of Kenya, with a time of 2:07:57. ■ The winner of the men’s wheelchair race is American Daniel Romanchuk, with a time of 1:21:36. ■ The winner of the women’s wheelchair race is Manuela Schaer of Switzerland, with a time of 1:34:19.